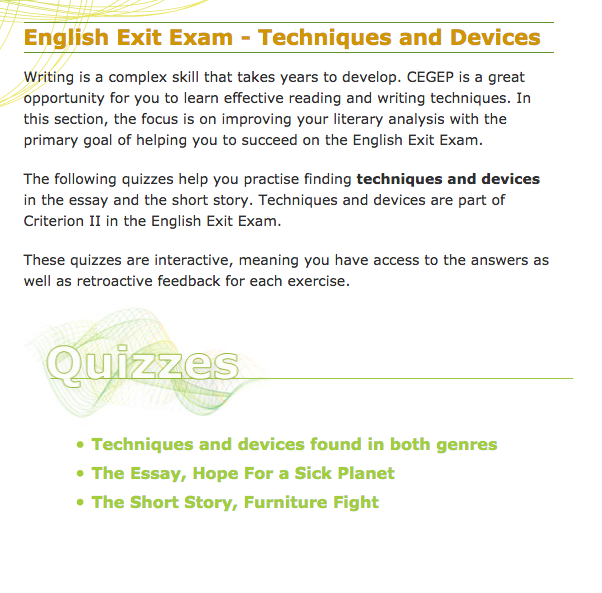 The interactive online resource Techniques and Devices provides interactive readings and exercises that will help students prepare for the English Exit Exam. 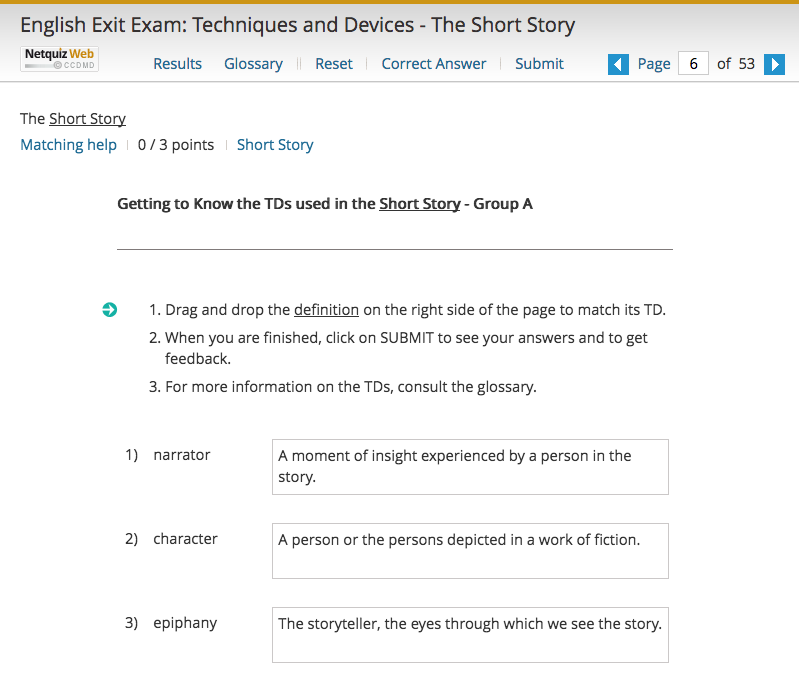 This exam requires writing a 750-word essay in which students need to demonstrate their ability to understand and analyze an essay or short story. 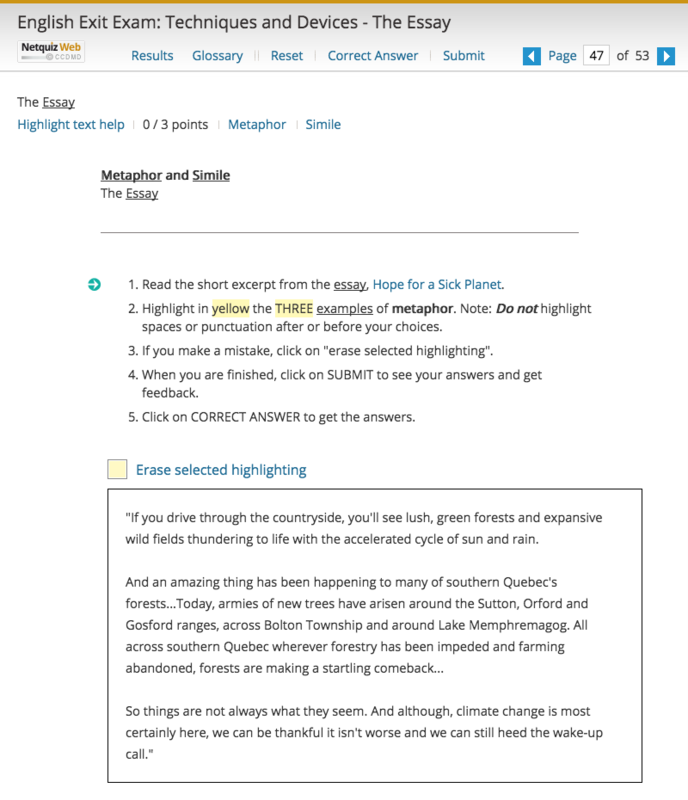 Literary techniques and devices, tools authors use to convey their ideas (e.g., symbol, cause and effect, metaphor, analogy, imagery, etc. 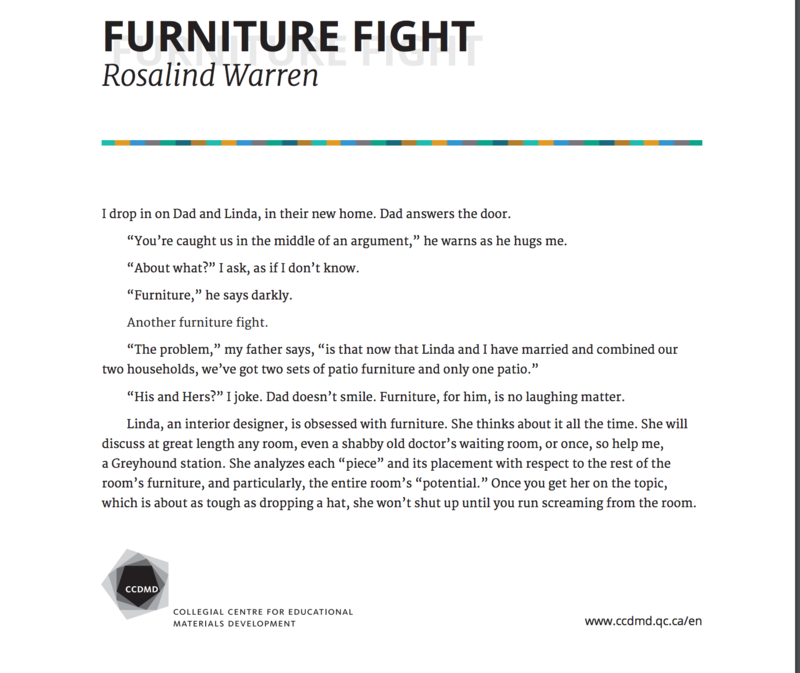 ), are the focus of this resource. 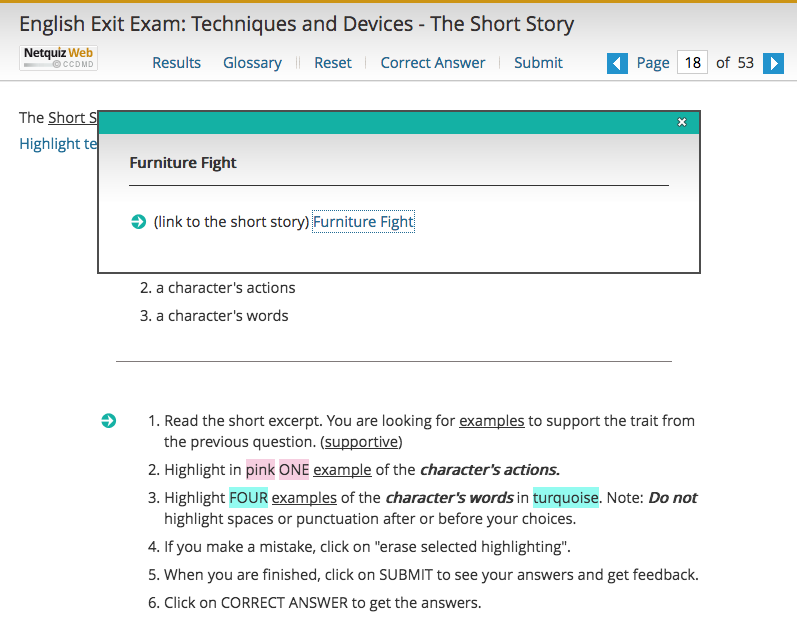 The various interactive exercises, developed using the application software Netquiz Web, provide feedback pertaining to an essay and a short story seen in previous English Exit Exams.